WA Digital is the latest in a number of advocate bodies that has emerged in recent years to help digital business in parts of the North. Manchester Digital is the most well-established, but Digital Union (in the North East), Digital Lancashire, Sheffield Digital, Yorkshire Digital, and Weave (in Cheshire East) all help their respective regions grow. 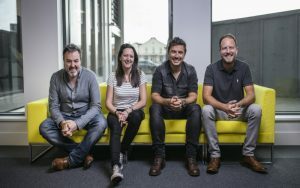 WA Digital has been founded by four experienced folk in the local tech scene. Melissa Wood is a freelance front-end developer with 12 years’ industry experience. She also runs WA Meetup, the longest-standing digital meetup in Warrington. Chris Haslam‘s career has seen him move from agency land, to startup entrepreneurship to angel investing in startups like London’s Monzo, Manchester’s M14 Industries and Sheffield’s Lumici. Meanwhile, Bill Carr has run Warrington-based agency Carpe Diem for 18 years, and regularly mentors and invests in startups like Revolut, Lumici and Racefully. Finally, Stuart Browne founded fast-growing consulting firm Resulting IT, has invested in companies including Manchester’s Hiring Hub, and works as STEM Ambassador. WA Digital officially launches at The Pyramid in Warrington on 21 September, 2017. Tech North will also be there to talk about our initiatives and how they can help companies in the WA area. Click here to sign up to attend.